Persons with disabilities live life differently from the average citizen. These are persons who have a physical or mental impairment that limit their capabilities to an extent. This may have been acquired at birth or through serious incidents in a person’s life. Because of this, they are entitled to special treatment and benefits based on local government proclamations. To benefit from such privileges, one must be legally registered as a person with disability. This can be done through filling out an application. 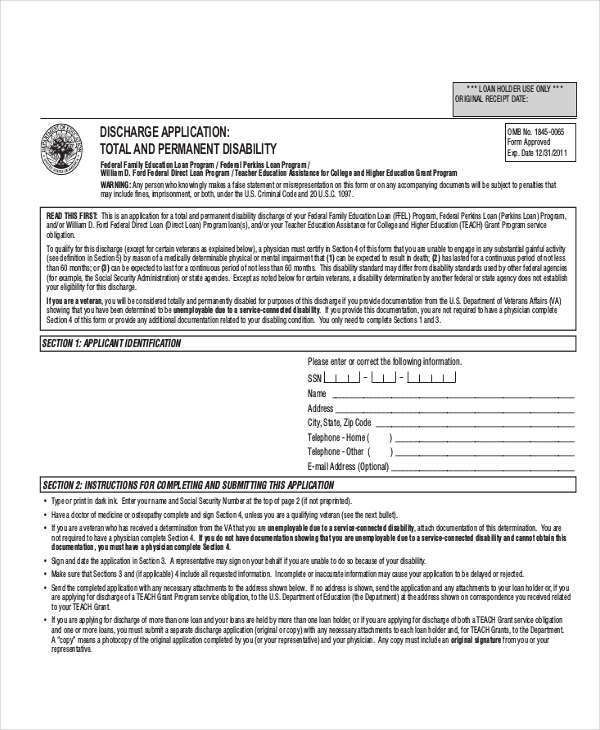 Disability applications do not quite differ from the common application examples as they are only required to be filled with sufficient information. However, there are also guidelines that one can consider in filling these applications. 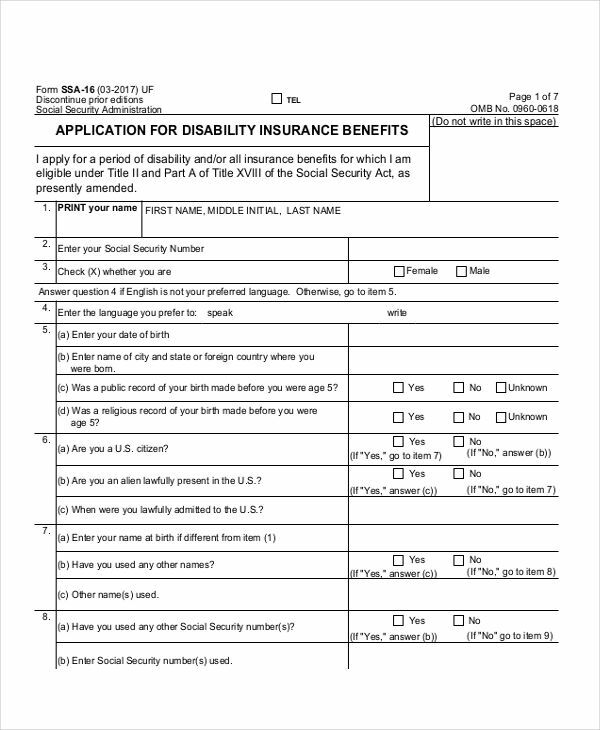 A disability application is used for government and non-profit organizations to screen and assess applicants whether they are qualified to receive certain privileges. 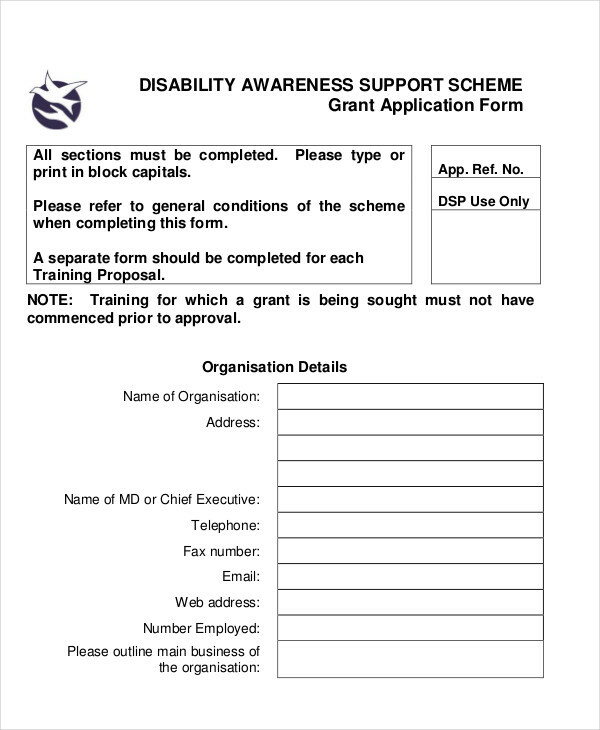 This type of grant application must be completed for sufficient funding. However, there is no assurance that an applicant shall be granted the benefits upon submission. 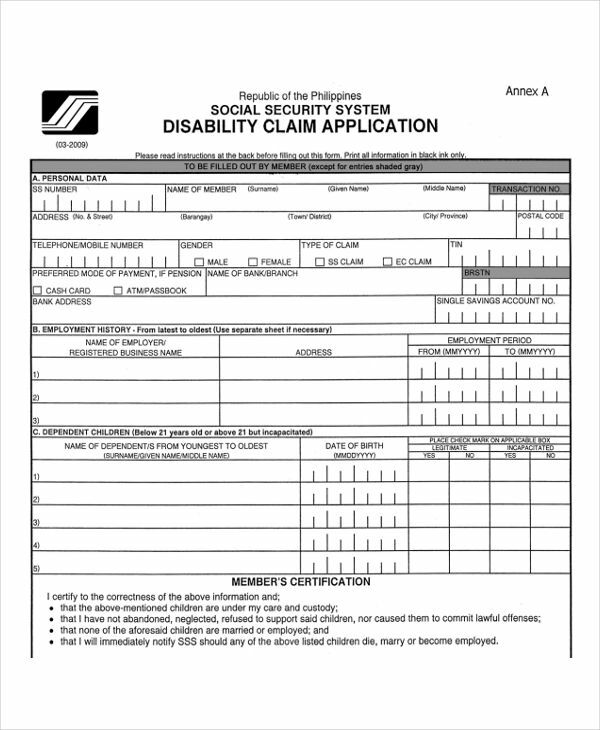 Sometimes, one’s claims may be denied due to incomplete or insufficient information. Fill it out. Leaving important items blank will likely be denied. Be honest. Whatever you put on your application will be compared to your medical records and other supporting evidences. Inconsistency will only lead to suspicion. Analyze each question. Questions must be taken seriously as your answers may greatly affect your chances. Think about your condition and how it may be emphasized in your response without having to exaggerate. Be accurate. Be specific with your answers and avoid one-word responses. Clearly explain why and how your condition has affected you in given scenarios. Do keep in mind that only certain illnesses and conditions may be considered as an impairment. These are physical or mental conditions that have hindered you from successfully performing daily activities independently. Furthermore, individuals who have submitted an free application are still subjected to further screenings. 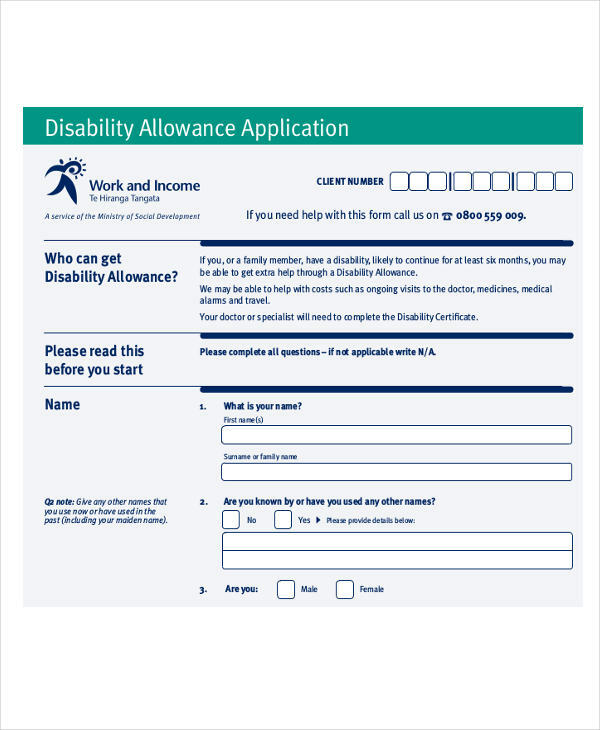 What to Write on a Disability Application? You may have noticed how persons with disabilities are treated in society. They are given priority in lines and public transport and they can avail special discounts for purchases made. Persons with disabilities are also given allowances and insurance benefits to support their medical treatments and other relative expenses. But of course, this may only be done once they have successfully applied for it. 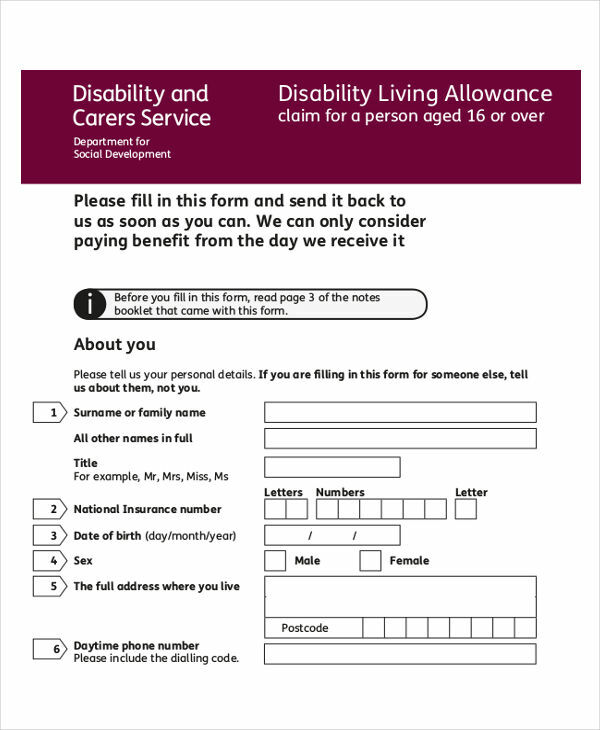 A disability application will first ask for an individual’s basic information. This includes one’s name, age, gender, birth date, and the like. Succeeding questions may relate to the person’s current condition, such as symptoms and diagnoses. Government organizations may also require a thorough run down on your condition which includes a discussion on your illnesses and limitations. A person’s medical history is also stated clearly. 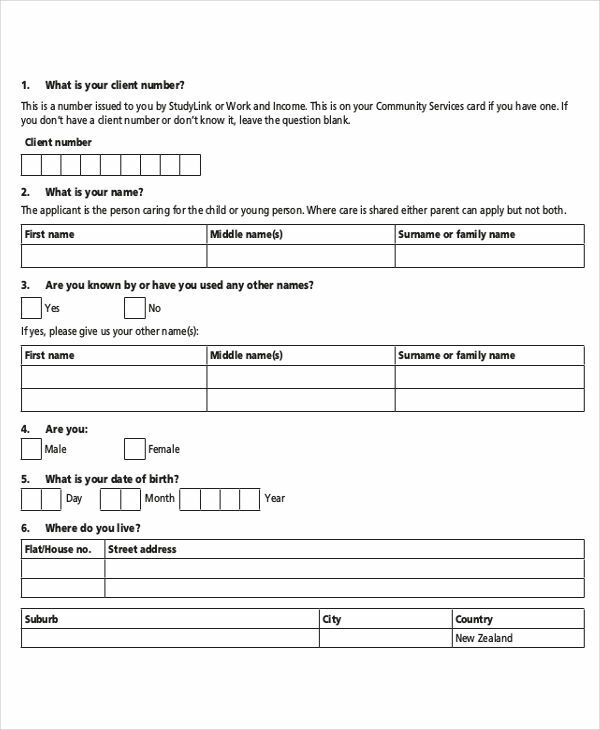 To know the general details required for an application, there are free application sample that you can refer to.